So this is not the type of gadget that we normally review – targeted at music lovers who attend concerts regularly than those meant for small business owners – but the DownBeats is a company that makes earplugs that helps concert goers get a full audio experience without having their eardrums blasted into painful submission. DownBeats is a set of innocuous-looking plastic and silicone earplugs that’s engineered to deliver a pristine and balanced sound experience while filtering out the scratchy, painful highs and lows during concerts (and especially the ones cursed with inexperienced and talentless sound engineers). Unlike normal foam earplugs that softens sound across the entire spectrum, these are engineered such that harsh noises and feedback are filtered out yet letting through the sweet sound of music at a comfortable 18dB level. If you’re a regular concert goer who tends to hover near massive speakers, you know the feeling of going home with the temporary ringing deafness that comes in the aftermath. Well, DownBeats is supposed to help deal with that, and also help prevent possible tinnitus that comes with prolonged exposure to loud music. There wasn’t a discernible difference when we tested the DownBeats at a recent jazz performance, but to be fair mellow jazz numbers aren’t the type of music that would really put the earplugs to good use. But it was comfortable enough to wear for an extended period of time, and should really come into its own at a rock concert that should test its capabilities to the limit. And if you’re the type to bring your daughter to a Justin Bieber concert you’ll be glad for your DownBeats earplugs, if nothing else but helping filter out the screaming of ten of thousands of prepubescent teens. I’d pay good money for that. 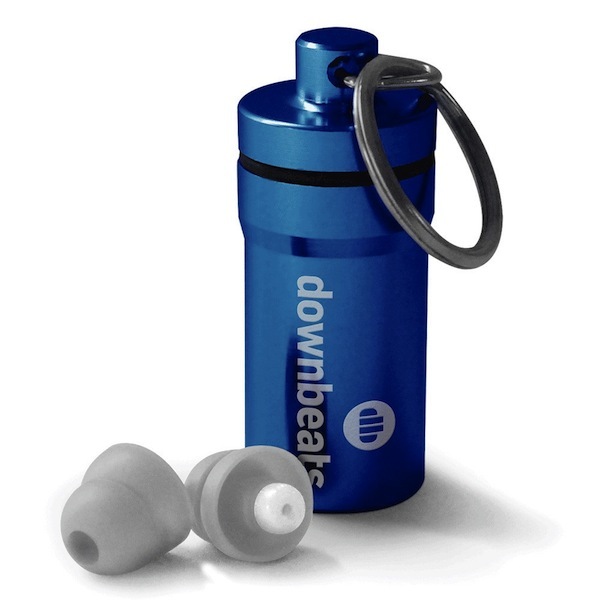 You can buy the DownBeats earplugs online here.